And speaking of poor judgment on the world wide non peer-reviewed internets. . .
Do you feel pretty? Well, do ya, punk? I thought this deleted (but not deleted fast enough!) tweet was a useful follow-up to the conversation some of us have been having this week about ethics for academics using Web 2.0. Joe Adelman added some thoughts of his own in a blog post at Common-Place, and you don’t have to be a member or log in to read the comments on his post! In any case, it makes an interesting lesson about shooting one’s mouth off and the professional and personal blowback that may result from one thoughtless tweet. Discuss. 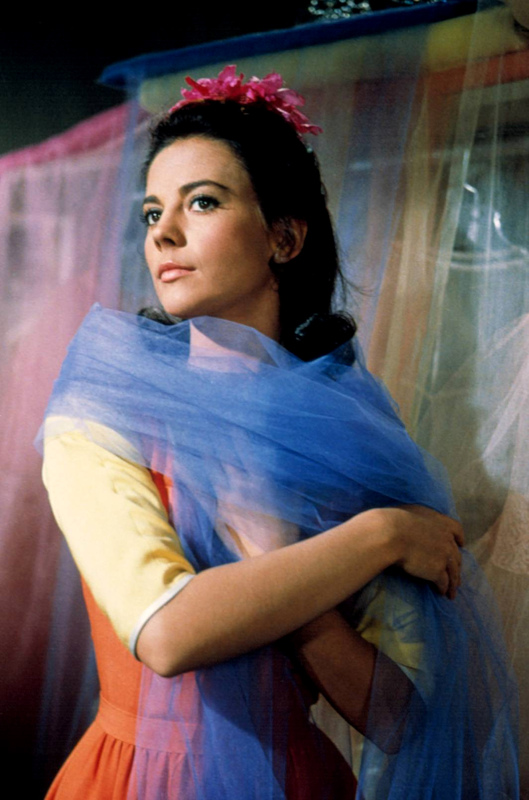 Or just click “play” and enjoy “I Feel Pretty,” with Natalie Wood. ← Summer fun cocktail: I haz it, but what shall we call it? Dr. Miller didn’t regret his action right away, he defended it. I think he’s just a white male weirdo who says things that flatter powerful white males. There are worse success strategies for white male weirdos. FWIW, this incident is already described at his Wikipedia page (What? He has a wikipedia page?). I think “Dr. So Fat So Overeducated, Ph.D.” (and others in the thread that follows hir comment) nailed it: ” In fact, I believe overconsumption of carbs and writing of dissertations go hand in hand.” Mind you, it’s to the good if one can avoid that connection (and/or throw in a little exercise), but, realistically, a lot of people I know put on weight during the final diss. stage. In fact, I put on weight while writing my (prize-winning) undergraduate thesis, too (but had lost it by the time I interviewed for a grad fellowship a year later. Guess that was a good thing). I’d put this one in the same category as the “no stale Ph.D.s need apply” job ad this fall: it isn’t really news that this bias exists, and it may be just as well in the long run to have the thought out there and talked about, but being the person to publicly admit/publish the bias was a really, really dumb move. And Professor Shitteferbrains now has explained to his department chair that “his com­ment on Twit­ter was part of a research project”. Yeah, sure it was, fuckewitte. I have no idea how evaluating PhD applicants involves evaluating, or knowing the slightest thing about, their physical appearance. Also, my dissertation was completed with the generous support of 2 am ice cream sandwiches (Toll House Cookie ice cream sandwiches!) from the 7-11 on my block. You gotta direct your limited supply of willpower where it’s needed most. CPP, that’s hilarious. That’s what my kids used to try, back when they were six or seven. At the wise old age of nine, now, they have moved on (mostly to ignoring the adults altogether). Good point Historiann. And for such a hot shot, it looks like his career has stalled at Associate. Well, considering a (female) professor in my department told her (female) graduate students this past year that the best thing they could do for themselves on the academic job market was “lose weight,” all I can do is…watch Natalie Wood videos? Many thanks for linking to Adelman’s post (glad to see that discussion continue). Hey, now–we’re not going to get down on stalled Associates, are we? Because I sure can’t participate in that conversation! I think Dr. Cleveland is right: you can only exert so much self-discipline when you’re on a deadline. I think all of that literature on “decision fatigue” that people were talking about a few years ago suggested that we all only have so much willpower to exert. And historian (small h/one n): barf me out (figuratively speaking, not in a bullimic way). My shouldn’t profs look good? Why wouldn’t a prof try to look pretty? Losing weight included. Profs are people. We aren’t better or worse. What do I miss? DC has millions and millions of good looking people. My wife is a tall looker. My close friend, a she, has glowing looks. Forgot it’s summer; everything goes. Best looking hands down is the Italian department, they always have latest good fashion, cut for them. My apologies, came across not as intended. Show tunes trivia: Stephen Sondheim said he regretted his lyrics–female friends he esteemed told him that when you’re a woman you don’t “feel pretty,” at least not in that upbeat perky dancing-shoes mode. Partial credit please to Marni Nixon (mother of the late pop singer Andrew Gold) for the video clip, as Natalie Wood didn’t sing. I guess as we move into the era of the MOOC, being camera beautiful will now be an academic requirement. We’ll all need to drop half our body weight, hit the gym 5 hours a day so we can display our fab abs as we lecture, and once us females hit 40, we’ll need to be retired so as not to offend viewing sensibilities. Ah, yes: Marni Nixon, the voice behind the stars! I think she also sang Audrey Hepburn’s role in My Fair Lady. Did any of you see that video interview with the Chair of the UNM Psychology Dept. in the link CPP sent in? (Scroll down below the fairly anodyne statement from the uni on top.) Tips for toads: don’t put your Chair in a position such that she needs to release a VIDEO to the world that clearly distances herself & the department from you! Just don’t. I read somewhere that Dr. Miller had served on admissions committees, so not only has he exercised appallingly bad judgment in his tweet, he has opened up the institutions for which he works/worked to potential lawsuits. My former university would have flipped their lids over that alone. But really, looks have always played an unfortunately important role in our profession. Looks (washington pretty! ), charisma, and pedigree. Sigh. Ways to feel young: Post an old picture and tweet like a teen bully! But seriously — do you think this is a subtle way of asking Chris Christie not to apply for a Ph.D. at NYU? Now there’s a large person with no will power and ambition. Or maybe Oprah was thinking about changing careers: wut a loozah she turned out to be. Look at Miller’s tweets from earlier in the day and the week. Seems he’s live-tweeting a conference of evolutionary psychologists. His 140-character remarks (I think mostly summarizing the ideas of others) are all along the lines of “women do this, men do that.” As a gender-nonconforming gay, I find these obscene. Oh, wait, maybe since I have no desire to reproduce, it all stands to reason. Gee, evolutionary psychology explains all! I started grad school a handful of pounds underweight, but over the next several years I put on about 50. At the same time, I came into my own intellectually, published an article in a major journal before I graduated, and finished my dissertation in the average number of years in my field. I no longer procrastinate, nor do I get flustered when faced with a mountain of work and a hard deadline. evolutionary psychology steps on another rake. so damn funny every damn time. I know–right? Too funny. The first comment on Get Off My Internets (quoted in the post above) was right on. You’d think they’d have died out by now. They don’t die because they tell the king what he wants to hear. They claim this reactionary approach as revolutionary, which is guess what all the best reactionaries do. Sigh. Back when I was in grad school the alternative to eating was was smoking, which kept you skinny, but had other health consequences. Indeed! It’s a handy deflection. When my department head absconded to Cambridge due to a Faulknerine scandal, his business school style replacement brought in a shipment of appalling throwbacks to 60’s style secretaries. They would have felt right at home in Dr. Miller’s department. Kathleen, lovely pun – that is, assuming his outdated picture indicates present proclivities :). Re: His 140-character remarks (I think mostly summarizing the ideas of others) are all along the lines of “women do this, men do that.” As a gender-nonconforming gay, I find these obscene. I’m not sure why- surely you do understand that behavioural ecology, and its application to humans, doesn’t mean that observed differences apply to *ever person*? Women and men do strongly differ- physically, behaviourally, psychologically, etc.- and these differences are mostly innate and the result of selection for different reproductive strategies. That doesn’t mean every man, or every woman, is going to conform to them, it just means that these are the *norms*. Geofrey Miller’s remarks about the Chinese eugenics project are indeed revolting, though. I recommend reading some actual empirical research (not just crackpot theory). If you think “these differences are mostly innate and the result of selection for different reproductive strategies.” There’s enormous literatures in cognitive psychology and anthropology alone based on actual empirical evidence (not just made up stuff) that would disagree with your statement. A good place to start is Why So Slow by Virginia Valian, though that’s only a summary of psychology research as of about 10 years ago. More has happened since then. As to why it’s important… Stereotype threat is one example. nicoleandmaggie.wordpress.com/2011/05/22/stereotype-threat/‎ Not saying that all “behavioral ecologists” have tiny penises, but the field does seem to lean towards that side of the spectrum. But obviously there are individual differences. Don’t know about its size, but Miller sure has a tenurepenis.